As more people from areas where sickle cell disease is common migrate, their receiving countries should be prepared to treat them. Global migration spreads the genes linked to serious genetic disorders. These conditions can put pressure on health services. 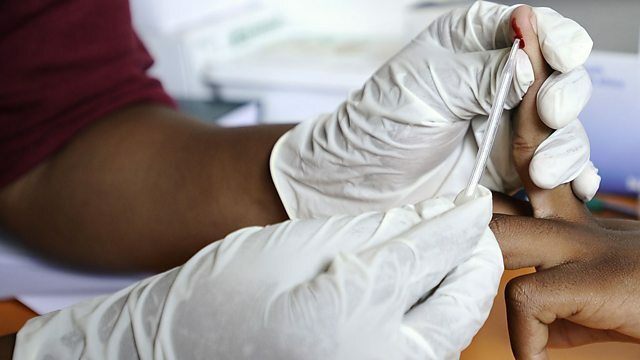 A team of scientists, lead by Dr Fred Piel at Oxford University, has been tracking the recent movements of the sickle cell gene across the globe to raise awareness of the disease in countries not used to dealing with the condition. Dr Graham Easton found out more about the disease at Imperial College Healthcare NHS Trust from consultant haematologist Dr Mark Layton, and patient Bertrand, who had just been admitted to the ward with a sickle cell crisis. We have known since ancient times that certain diseases have particular smells - for instance diabetes can produce a fruity, sweet smell. But what if we were all able to detect much more subtle smells – before someone was even ill? Professor Mats Olsson from the Karolinska Institute in Sweden devised a neat experiment to test this theory. There were smelly T-shirts involved – but the first step was to trigger an immune response in some volunteers. Imagine if you could erase your worst memories - as in the film Eternal Sunshine of the Spotless Mind – where a couple use a procedure to wipe each other from their memories when their relationship turns sour. That is Hollywood fantasy. But according to scientists in the Netherlands, writing in the journal Nature Neuroscience, it may actually be possible to 'cleanse' parts of the brain using electroconvulsive therapy – or ECT. BBC Hague Correspondent Anna Holligan gets exclusive access to the lab in Rijnstate Hospital in the Dutch city of Arnhem. Would you Want to Find out About an Inherited Genetic Condition? More countries need to prepare for influx of people with sickle cell disease. Experimental evidence that people can smell early signs of disease. Psychiatrists in Holland say they can cleanse parts of the brain with ECT.